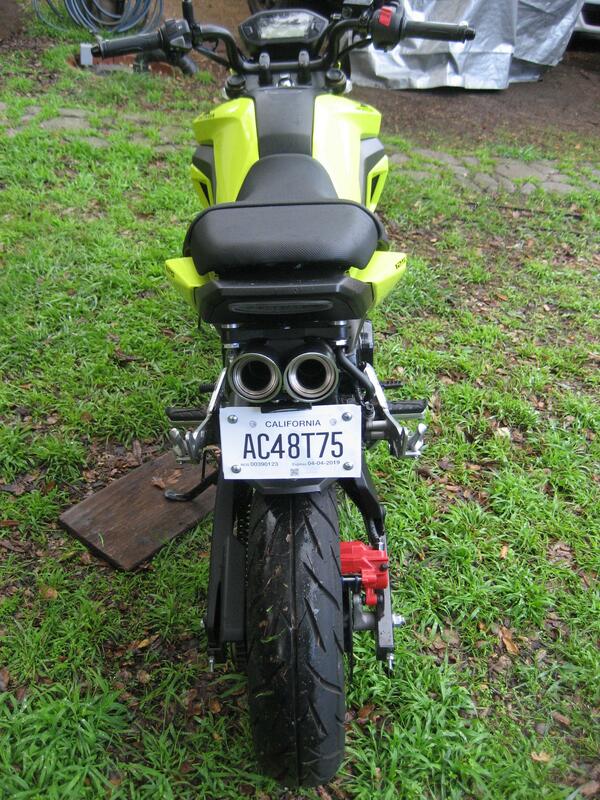 The TOCE exhaust is awesome! Nothing else sounds like it. I chose it because it's longer than any other exhaust, even the folded ones. Short exhausts are great for high rpm horsepower, while long exhausts produce more low rpm torque. I'm looking for more low rpm torque as I ride for transportation rather than for performance. It took a little over 4 hours to put everything together because I took it slow and careful and referred to the TST installation videos constantly so I could do everything right the first time and not have to go back to redo things. Everything installed just fine without any problems as their parts are of high quality and excellent design. 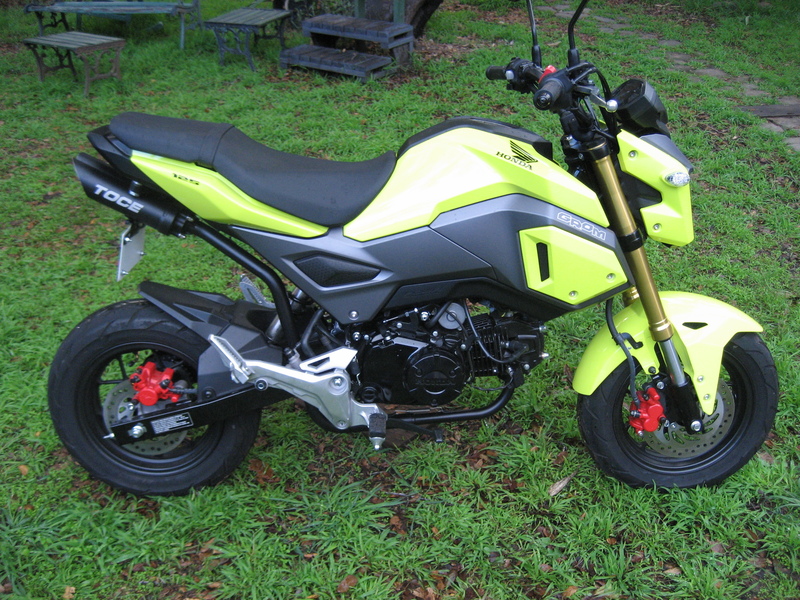 I weighed everything I took off and everything I put back and the TST parts knocked 11 pounds off the weight of the Grom! Stock it weighs 234 pounds, so now it's 223. This is about a 5% reduction which is a considerable advantage for a small underpowered bike. Last edited by tooter; 01-12-2019 at 05:46 PM. I HATE the stepped seat. It's always shoving my balls into the tank. What seat are you using? 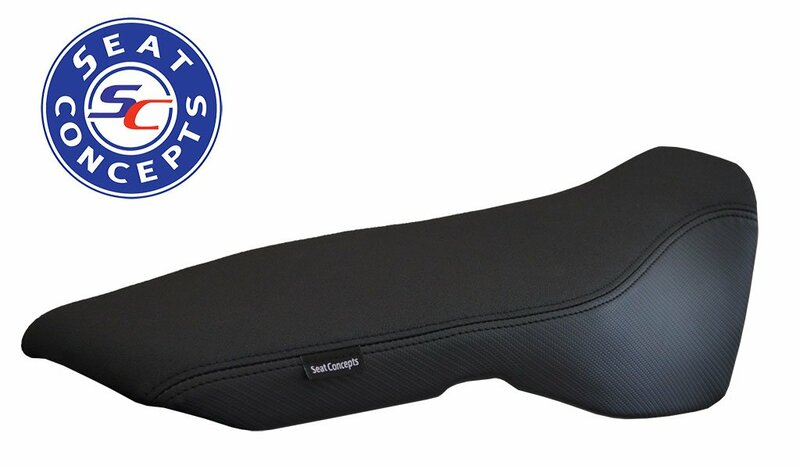 I settled on the Seat Concepts kit. I went back and forth from SC and Corbin for over a month everyday and finally ordered the SC kit. It was super easy to change the foam out and put back together. 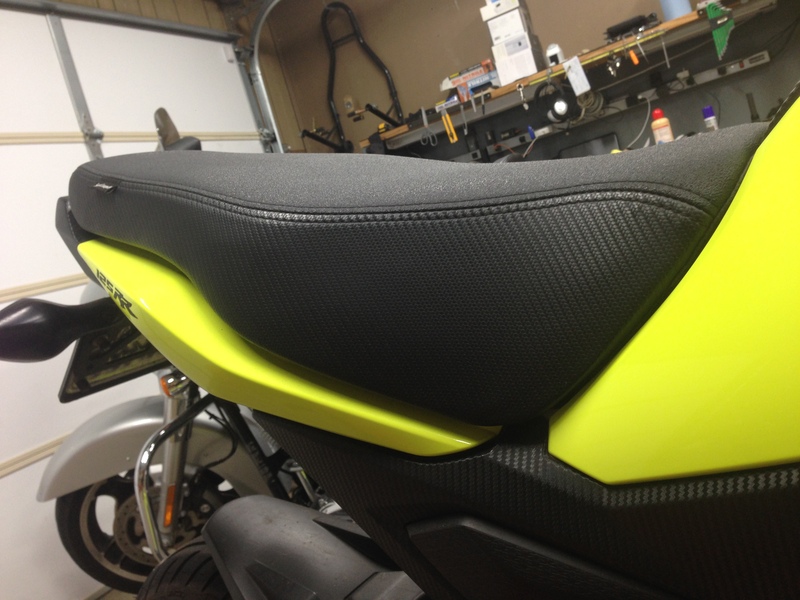 I also went with the carbon sides and the gripper top material. I wear jeans everyday, and I couldn't be happier with my decision. WV_Grom and grommyk like this. I settled on the Seat Concepts kit..
Do you mean this one fella?? 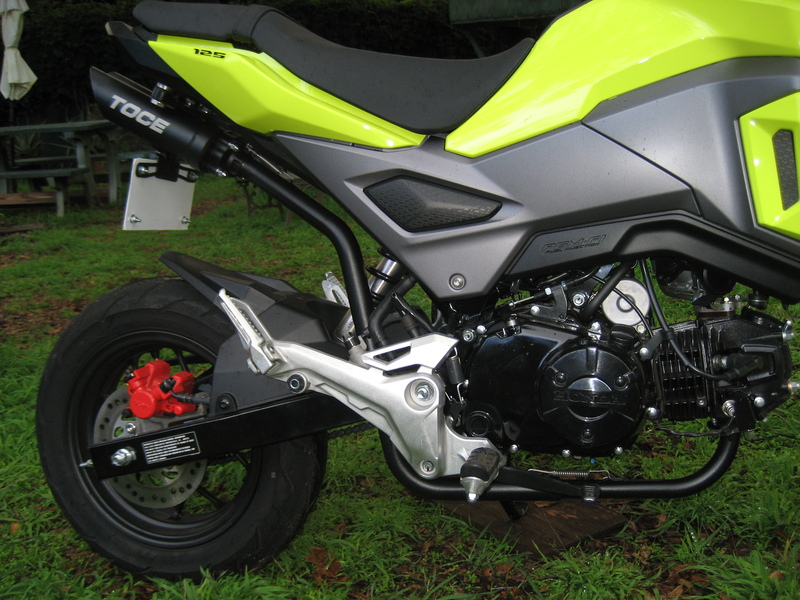 Grom's looking good tooter... Ive wanted the TST gear for weeks now but the intergrated tail light isnt legal in the UK... Cry Cry!! Last edited by E-J-G; 01-13-2019 at 03:26 AM. That's the correct one. 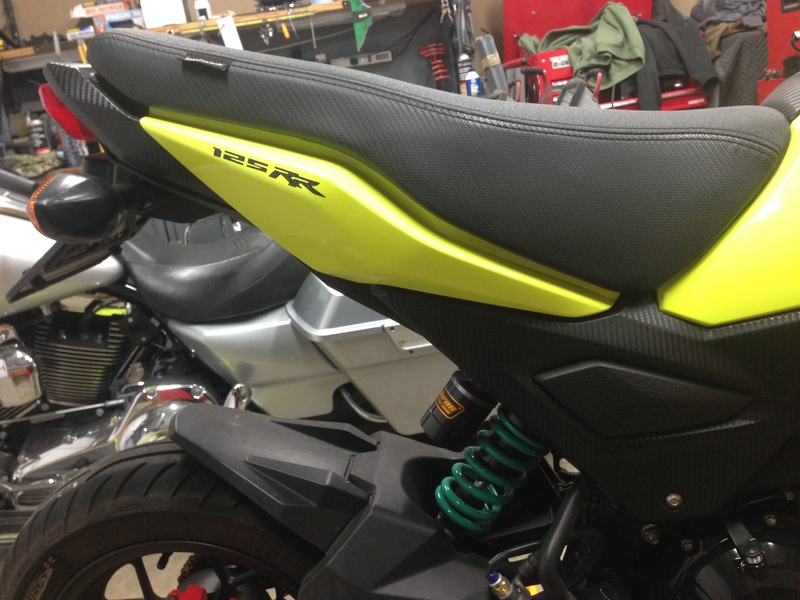 I also have the Seat Concepts and its still one of the best mods have done yet. Was it easy enough to install? did you need a decent staple gun etc? Very easy to install. I would suggest a pneumatic staple gun if you have one available. It's not legal here either and neither is the exhaust! (lol) It's just not enforced because most Cops in California are also bikers. That seat looks really nice! 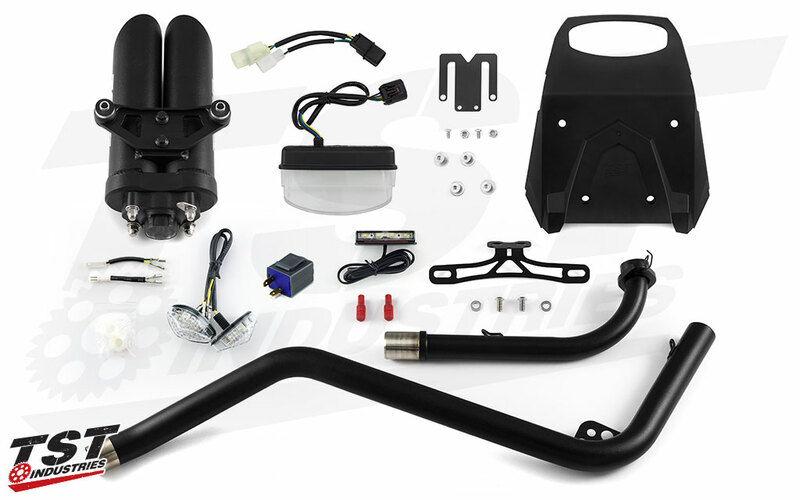 I'm going to try a cheaper approach first, and that's to install a small 1.5 inch lowering link on the rear shock to make the seat not tilt forward so much. I used 7/16" crown / 1/4" length T50 staple as I have boxes of them. One reason it took so long to order a seat was that I thought the SC was going to raise the seat height slightly (i'm 5'7" with a 30" inseam), so I kept leaning towards Corbin. But I'm glad I went with SC, it's everything I could hope for in a seat, did not raise my seat height and was half the cost of the Corbin. Plus, Corbin has so many damn options for their seats I just couldn't settle on a design, lol. 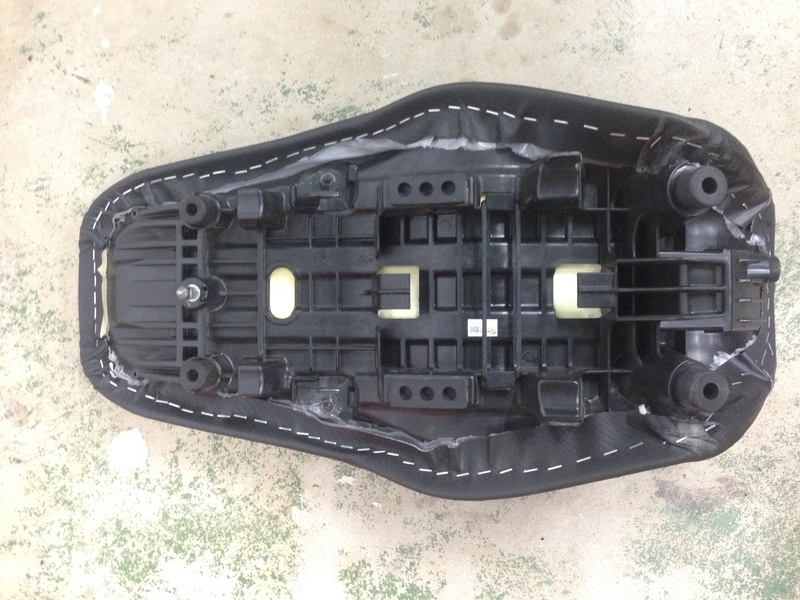 SC has only two options for the top material (CF or Gripper).